Luckily I found a Korean-French translator for my paper in Montady, 1 hour driving distance from Montpellier, so my husband and I decided to take advantage of this situation; exploring the area! We didn't have a car but finally we figured out the Modulauto (Modulauto is a city car-share program. Once you are a member, you can arrange to use a car for a trip, short or long, without doing any rental paperwork; super easy.) 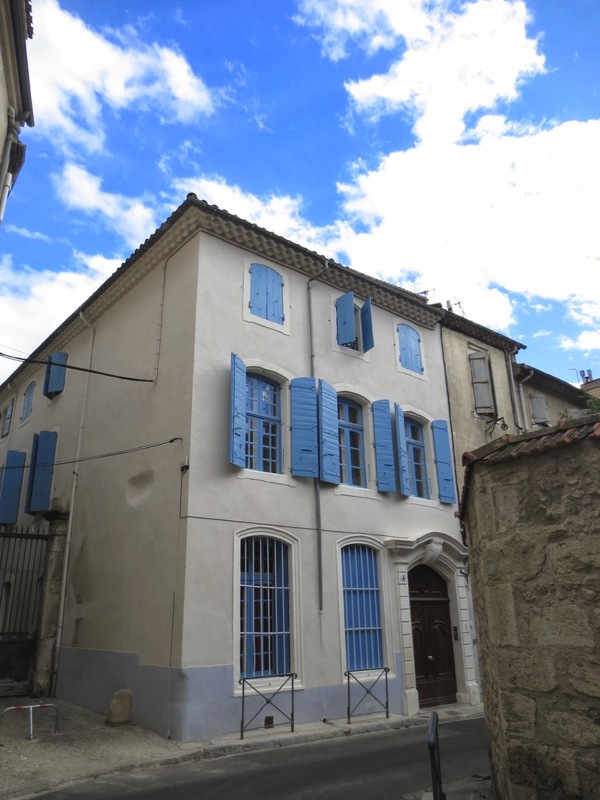 There are several places that we'd like explore in southwest of Montpellier such as Béziers, Marseillan and Sète. 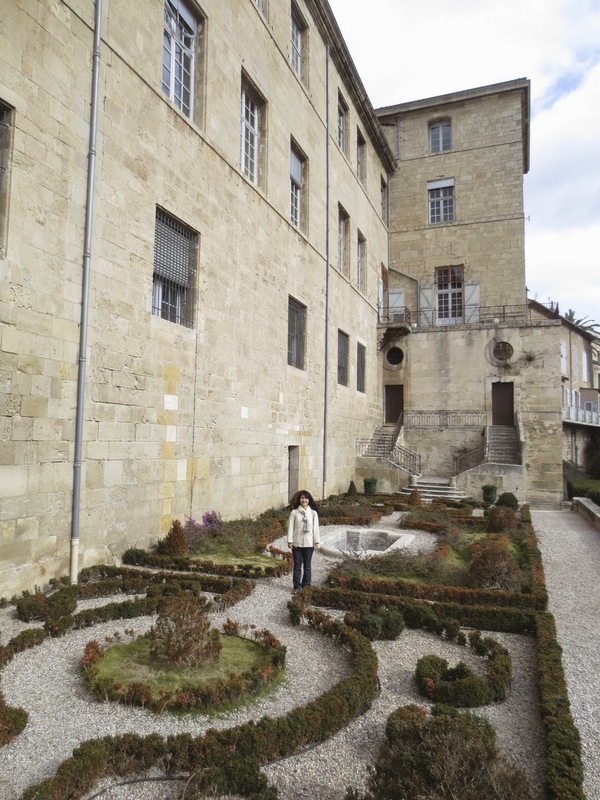 The weather wasn't perfect but it's February and was about 15c/60f :) I love south France! 프랑스 정부는 뭐 내라는 게 얼마나 많은지.. 내 출생증명서도 번역해서 내라고.. 번역할분이 없을까봐 걱정했는데 딱 여기서 1시간 거리에 있는분을 찾았읍니다. 뭐 가지러도 갈겸, 그 동네도 구경할겸해서 울 신랑이랑 아침부터 으싸으싸! 평소에 가고싶었는데 차없이 못갈곳을 싹~악 한데 모아 구경하고 나중에 다시올곳 알아볼려고, 뭐 거의 답사 수준으로.. 베지에, 세트, 말세이얀을 둘러보고 왔읍니다. 세트는 쫌 기대했었는데 차도 많아도 느~무 많고 내 상상과는 너무 아닌곳으로… 다음에 굴먹으러나 갈까 빌루 다시 가고 싶지 않은곳이었구여, 말세이안은 예쁘고 깨끗하고.. 다시 가서 먹고 마시고 놀고 하기로 울 신랑이랑 결정했읍니다! Bézier cathedral/ we parked down near the canal and walked to the top! There is a nice passage that you can take up to the Cathedral. 울 신랑이랑 으싸으싸 올라간 길. 예쁘고 동네 구경도 할수있는.. Extremely good value lunch menu. 정말 싸고 맛있는 집. 에피랑 메인이 12 유로.. Tortilla de patatas with chorizo. 아주 맛났다는.. 집에서 해먹을 것임! Cassoulet de saumon. It was windy and little chilly so it was perfect! 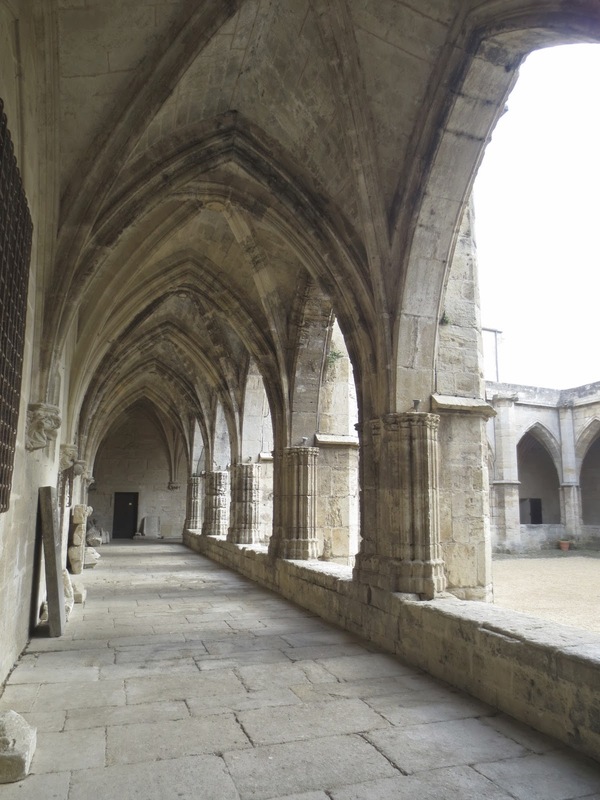 식당을 나오자 마자 보이는 성당..
Béziers cathedral courtyard…. 성당 안.. 정원가는길..
Little garden with view inside the cathedral… 그리고 나! 여름에 오면 더 예쁠것임.. Pretty Béziers. Someday we might take a boat to go around Canal du Midi.. Even with cloudy weather, it was this pretty.. 날씨도 빌루 였는데 예뻤다는..
À Sète, cookie shop and a little girl throwing temper tantrums! What a good location for that! Picture perfect spot in Sète but it wasn't that pretty…. too much traffice around this water..
As you can see from the photos, we loved Marseillan but not so much Sète. 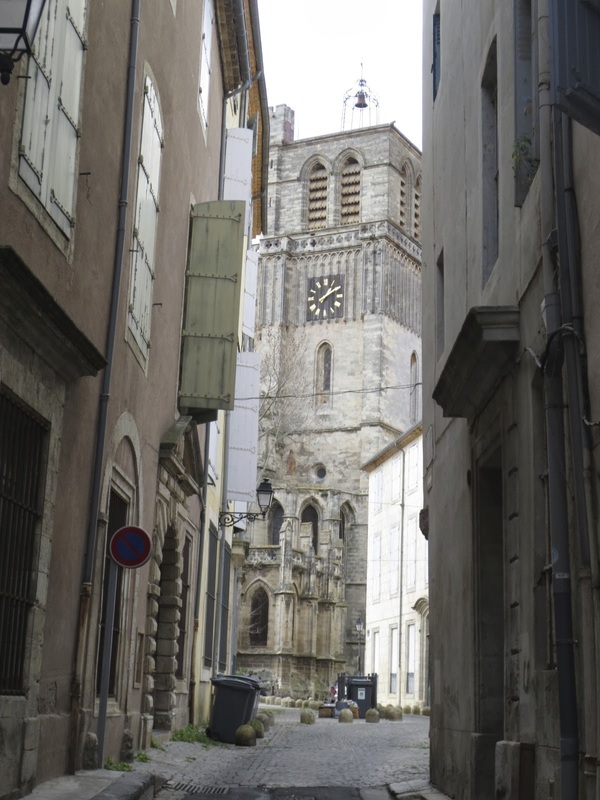 The Béziers cathedral didn't open at the hours they supposed to. We were disappointed since that was The One to see in Béziers. When the weather is nicer and sunny, we will go back to Marseillan with our friends and play board games while drinking and eating yummy things! 보셨듯이 이동네는 정말 예뻐요. 말세이얀에는 꼭다시가서 보드게임도 하고 와인도 마시고 노이프레 공장도 구경하고 할려고요. 나의 어드벤처러스 데이는 끝! 집에 오는길에 커다란 마트에 들려서 와인 한 20병이랑 울 신랑 맥주 한 4 상자 차에 실고 룰루 랄라 집에 왔읍니다. 정말 여기는 동네 돌면서 뭐 노는 땅은 다 포도밭이고 슈퍼에 맛있는 꽤괜찮은 와인도 5유로 밑! 정말이지 딱 내 스타일 동네! 부럽죠? Welcome to Keewi's Adventures!/ 짜잔~ 나의 첨 블로그!